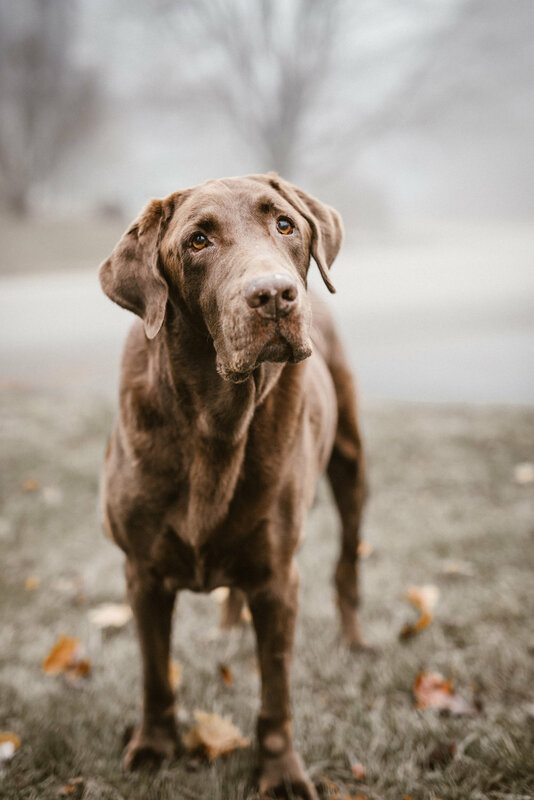 I recently had the opportunity to do an at-home portrait session of an elderly dog named Buster. The session was paid for by a group of friends of Buster's owner. Although I have had experience photographing my own dog, I really didn't know what to expect going into this photo session. I did some research on some other dog portraits and got an idea of what kind of images I wanted to produce. I arrived at Buster's home and he immediately greeted me with a wagging tail. Buster is 14 years old and has a tough time getting around. I gave him a few minutes to relax and get comfortable before taking my camera out. He was confused having a camera in his face, but it made for some nice candid moments. As a dog owner, I know these images will be cherished forever by Buster's family.